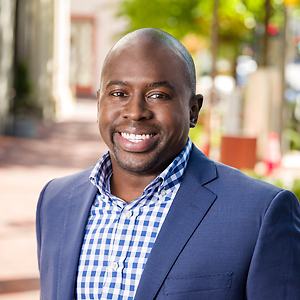 Specializing in residential real estate in the Maryland/District of Columbia area for over four years, Yannick primarily works with first-time home buyers, investors and new construction properties. He earned a degree in Information Technology, and has perfected the art of customer service with over a decade of experience in the hospitality industry. The successful purchase, sale or rental of your residential property is Yannick's priority, and no one will work harder for you. His mission is to make the real estate process a seamless and rewarding one, by listening to your needs, arming you with information, and helping you assess your options to assure the best outcome. His clients find him to be extremely personable, patient, prompt & diligent with follow-up. Most importantly, Yannick's clients appreciate his trustworthiness and commitment to ensuring guidance through major lifestyle and investment decisions. Originally from the beautiful Caribbean island of Saint Lucia, Yannick has called Maryland home since his early teenage years. He is based in Montgomery County where he resides with his beautiful wife Emily and two wonderful children Lillian and Theodore.